Saturday 1st December, 12pm-4pm, 50 George Square Lecture Theatre. TEDxUoE event offers us the perfect opportunity to share brilliant ideas, inspire each other & make new connections all in the setting of our very own University Campus. 'Women the world over are no longer accepting the status quo. They're rising up, breaking out and pushing boundaries. Whatever their focus and talent — business, technology, art, science, politics — these pioneers and their allies are joining forces in an explosion of discovery and ingenuity to drive real, meaningful change. TEDWomen will celebrate how these dynamic and diverse people are showing up to face challenges head on, all while empowering each other to shape the future. Thursday 6th December, 9am-6pm. Gilmorehill Centre Cinema, University of Glasgow. The day is aimed at undergraduate, masters and doctoral students who are studying art, art history or visual culture and are keen know more about careers in the arts, culture and heritage sectors. The day offers specific advice, experience and expertise from professionals working in different roles within these sectors. This year the day will cover careers in Academia, Museums & Galleries, Arts & Business as well as prospects for Early Career Researchers. Tickets £8-£12. Packed full of local handmade gifts, music, activities, food and drink. There's a wreath making workshop running at 12pm and 2:30 for £22 which includes all the materials and decorations to create your very own 14" Christmas wreath! Tickets available via the Summerhall website. FREE PIZZA at the first Fresh Fruit Open social isn't the only reason to get down to the Fruitmarket gallery on the 4th December. Find out about past events and get involved with future projects. Talk arty things with a range of young artists, film makers and creatives. In the past Fresh Fruit has trained young adults to deliver workshops, hosted themed art parties in the gallery and organised free workshops ranging from bookbinding to analogue film making, collaborating with practicing artists. FREE event. Summerhall, Wednesday 12th December, 7pm. Reconfigure is back at it again, this time with a FABULOUS twist. 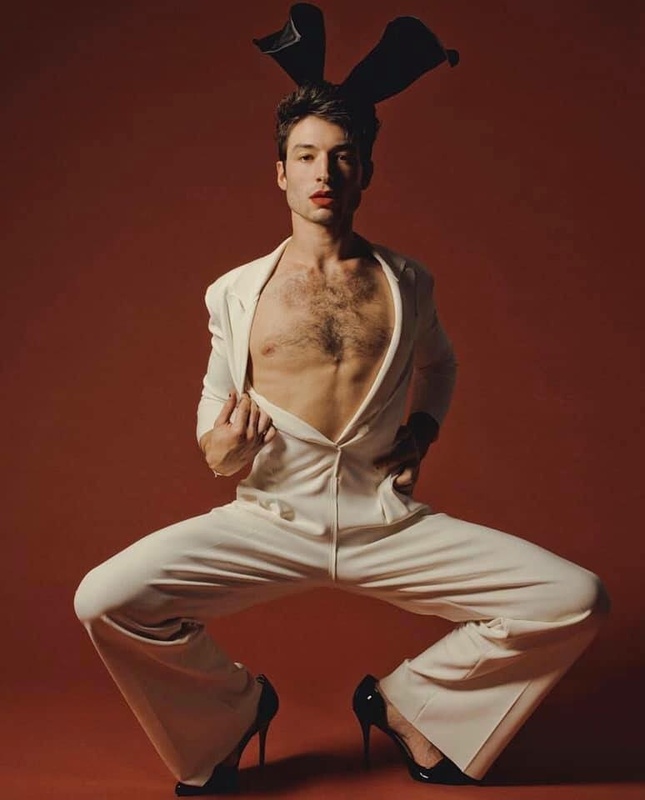 Inspired by the viral photoshoot depicting actor Ezra Miller absolutely owning gender fluidity, this life drawing class offers seasoned pros or absolute amateurs an opportunity to explore physical manifestations of sexuality and gender, whatever they may be. Tickets £7.